Read Your Own Personality Report For FREE. There are some people who will cope and thrive in your work environment but most people will not. PeopleMaps Recruitment will build a Success profile for each of your job roles so that you know exactly what you are looking for. Not only will it consider the conventional issues such as skills, work experience and qualifications but it will also look at the psychological profile of your ideal candidate. 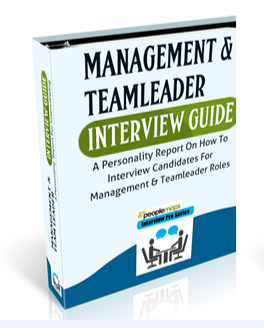 With PeopleMaps you can implement insightful and revealing candidate interviews. When PeopleMaps Recruitment sends you a candidate, it includes a detailed personality report about the candidate. 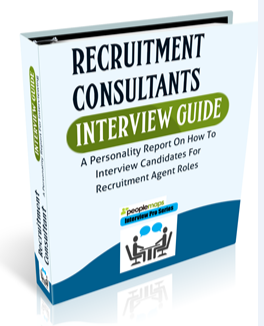 This report is written as an interview guide, so even an inexperienced interviewer can conduct a revealing and insightful interview. Below is a description of some of the Interview Pro reports that are provided to you when a candidate is presented to you to be interviewed. Managers have a lot more opportunity to do damage within a company, so this is the last place you want to make a recruitment error. Anyone who is responsible for other people or resources must be very carefully considered. This report will tell you how they manage other people. You will also discover about their leadership style and what they are like at administration. Don’t take a chance when hiring people for management or team leader roles. Don’t let them ruin everyone’s life. Hospitality is all about people. You depend on your staff to deliver excellent service. If your service staff are good, then your customers are happy. If they fall short then you may lose customers. Qualifications are unlikely to help you hire the right person. Even previous work experience may not tell you what you need to know. 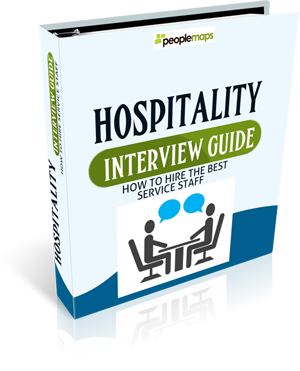 If you want to hire people who are naturally good at hospitality jobs then you need to understand their personality. Skills can be learned but your staff have to have the right personality for the job in the first place if your training is to be effective. Good salespeople can make or break a company. And as you probably already know, sales is all about people. It doesn’t matter what certificates they have or what qualifications, some people will thrive in your sales environment and some people will not. 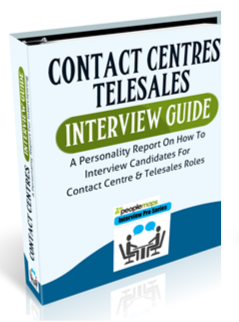 This report will ensure you hire the very best person for your specific sales environment. It will describe their sales style and how they cope with things like cold calling. 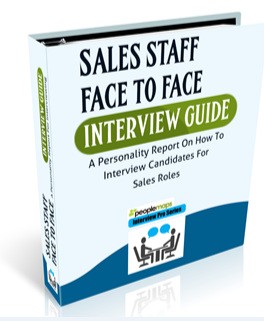 Everything you need to know, to help you hire good face to face salespeople, is included in this report. 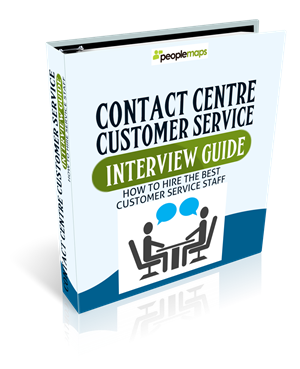 This is the latest version of the recruitment report for Contact Centres. It has less text and more diagrams so that you can see at a glance if a candidate has what you are looking for. Different candidates have different issues. You can identify them at the outset and decide which ones you can live with. Only some people will be able to cope with your contact centre environment. This report will help you identify who they are. Customer Service is about people. So although there are skills we can learn, there are some personality types that are naturally good at customer service. We call these “Naturals”. There are also some people who can cope better with a contact centre environment than others. To reduce staff turnover and deliver excellent customer service, you need to hire people who can cope with your work environment and deliver excellent customer service, month after month. This report is designed to help you identify your “Naturals”. PeopleMaps has worked with a lot of recruitment agencies over the years. It made sense to design a report to meet the specific needs recruitment agencies have when hiring new consultants. If you are an agency then you want to know about their sales style. You will also want to talk to them about their commercial awareness as consultants with initiative do well. There is a lot of cold calling so you want to check that your candidate can cope with this.